South Korea's agriculture ministry said Wednesday it will implement a tougher set of rules on raising fierce dogs to better protect people and animals. The Ministry of Agriculture, Food, and Rural Affairs said the new rules will require owners of dog breeds known for aggressiveness to receive mandatory education programs on how to properly raise such pets. 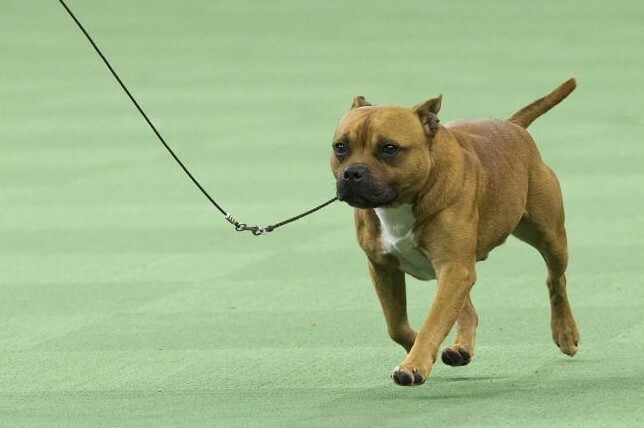 The ministry categorizes Tosa, American Pit Bull Terrier, American Staffordshire Terrier, Staffordshire Bull Terrier, Rottweiler, and other related mixed breeds as being fierce dogs. Owners of such dogs need to complete education programs for three hours every year, which can be carried out online. The program will center on understanding the nature of fierce dogs, and ways to train them to behave. The owners will be banned from taking their dogs to education facilities, such as daycare centers, kindergartens, and elementary schools. Other areas off limits to such animals will be announced by cities and provincial governments individually. Violators can be fined 1 million won ($884), which can be increased to 3 million won for multiple offences. Those abandoning fierce dogs can be fined up to 20 million won or sentenced to up to two years in prison, the ministry added. The punishment is more severe than the 3-million won fine currently imposed on people who abandon regular dogs. If any dogs kill a person due to negligence of owners, including in cases where the dog is not on a lease, the owner can be sentenced to a prison term of up to three years or a fine of up to 30 million won, the ministry added. The previous rules had a ceiling of a two-year term or fines of less than 7 million won. The ministry said it has not yet prepared programs for foreigners residing in South Korea with such pets, casting concerns over some people not being notified about the changed regulations.